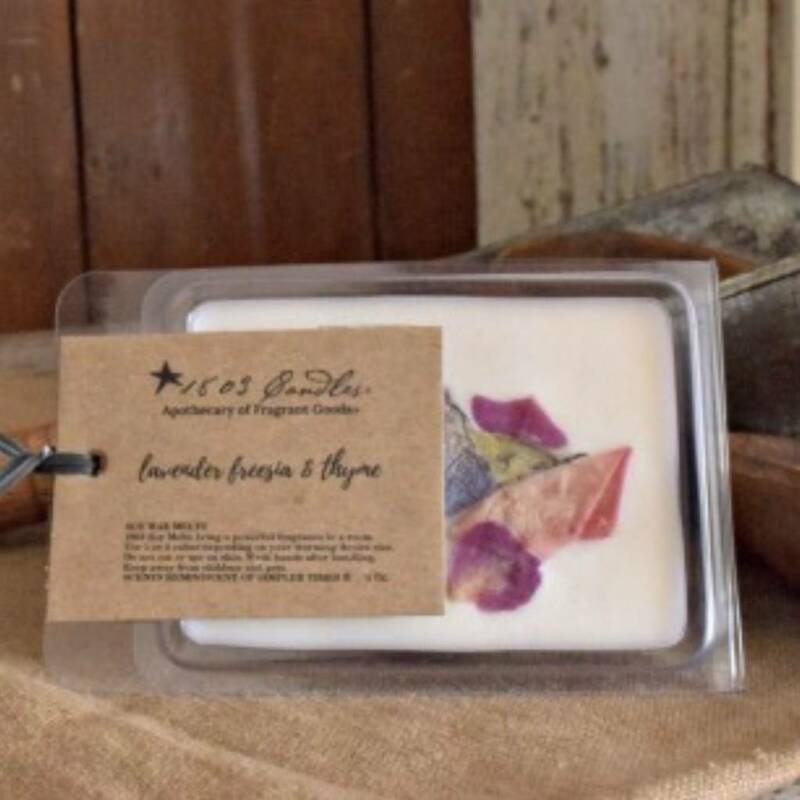 You’re going to love this 1803 Lavender Freesia & Thyme Melt! 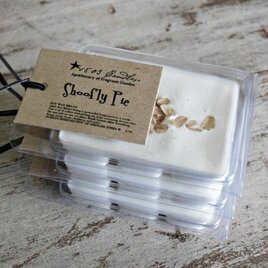 Hand-poured Soy wax melts are carefully blended with our quality fragrances. 1803 melters can be used in virtually any wax warmer anytime you need a Fragrance without a Flame™. Melts are designed to be warmed in any “tart” warmer you purchase. When ready to fill your room with an exclusive 1803 fragrance, try two or more melter squares at a time depending on the size of your warmer tray and bulb wattage. Thank you for choosing to shop with us and considering this 1803 Melters!